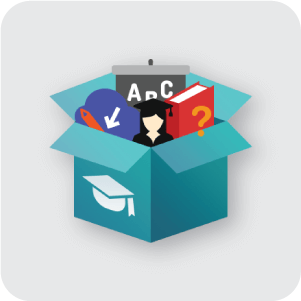 The best rated knowledge base plugin to quickly build a dictionary, encyclopedia, wiki, online library, or glossary of terms with popup tooltip info boxes. Terms are automatically linked internally to both category specific index pages and throughout your site content. 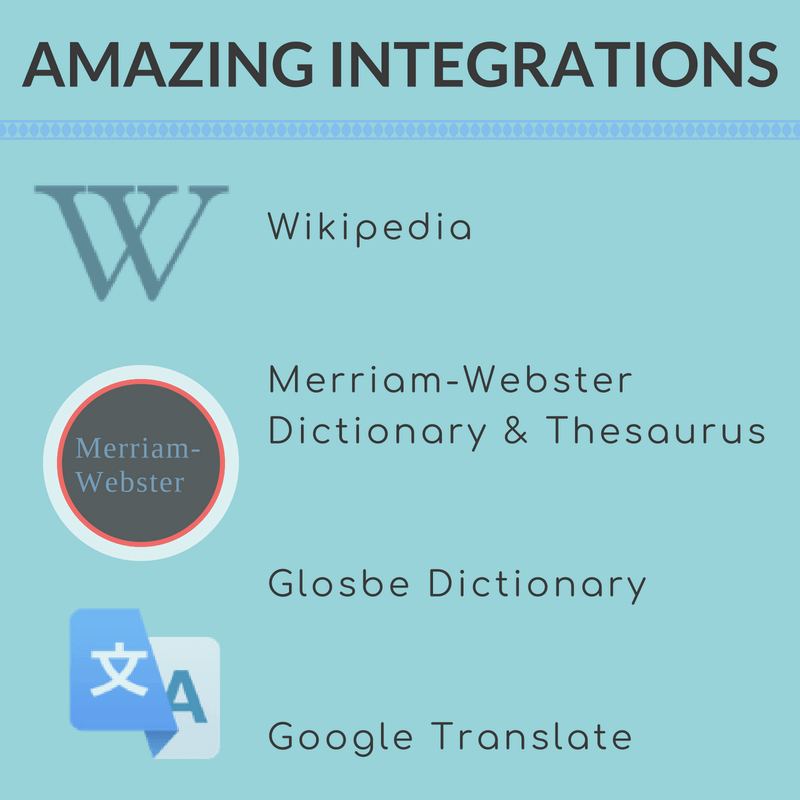 Integrate with external content from Wikipedia or Merriam-Webster, make it bilingual with Google Translate, or add product suggestions from Amazon and WooCommerce to take your glossary to a whole new level. CM Tooltip Glossary is the premiere WordPress knowledge base plugin to host a glossary of terms or information repository on your WordPress site. If you want to build an online dictionary, encyclopedia, wiki, or glossary, this is the most robust and best reviewed plugin out there! 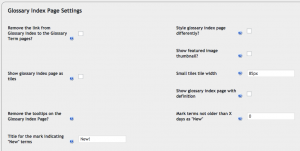 A customizable index page is automatically created by the plugin. Here all the terms for that glossary will be listed. Term pages can be accessed directly through the glossary index or by clicking on a term when it appears in the site content. Each term in the glossary or online dictionary has its own term page. This page includes the term definition, media, and content from external dictionary and thesaurus sources (when using the necessary APIs). Users can submit terms to build a community centered knowledge base, with the option to moderate all submissions using the Glossary Community Terms Addon. 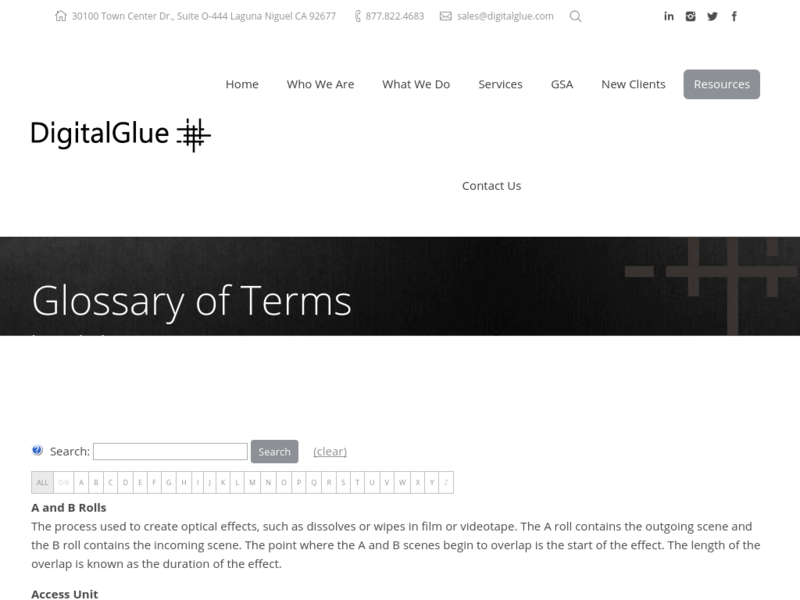 Once a glossary term has been added, each occurrence of the term will be highlighted in any page or post. Easily embed images, audio, and video files on the term page and/or term tooltip content, including content from external sources like Wikipedia or Merriam-Webster Dictionary. The plugin’s tooltips are fully customizable. Set the tooltip font, font size, tooltip dimensions, border, opacity, color, and more. Enable or disable tooltips on individual pages or posts. Parse image alt attribute text for terms. When found, a tooltip of that term will display when hovering over the image. 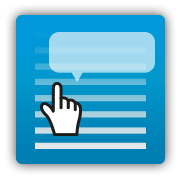 Customize your glossary index with an alphabetical navigation bar, fast live filter, easy share social media thumbnails and many other user friendly options. Choose from 12 different index page design templates to display your online dictionary content in a way that fits your site and content type. 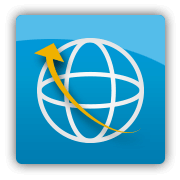 Each encyclopedia or dictionary term and popup tooltip supports synonyms, abbreviations, and variations. This enhances the scope of a term search within your content and gives you the flexibility to use a term in many different ways. 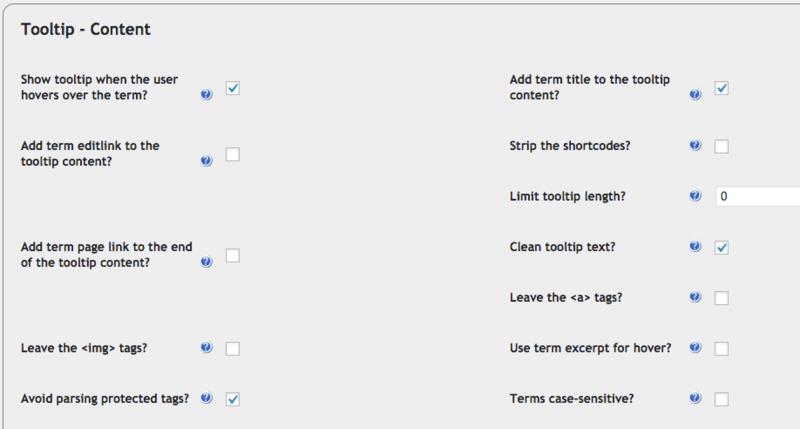 The plugin lets you disable term parsing and tooltip display on a page by page basis. 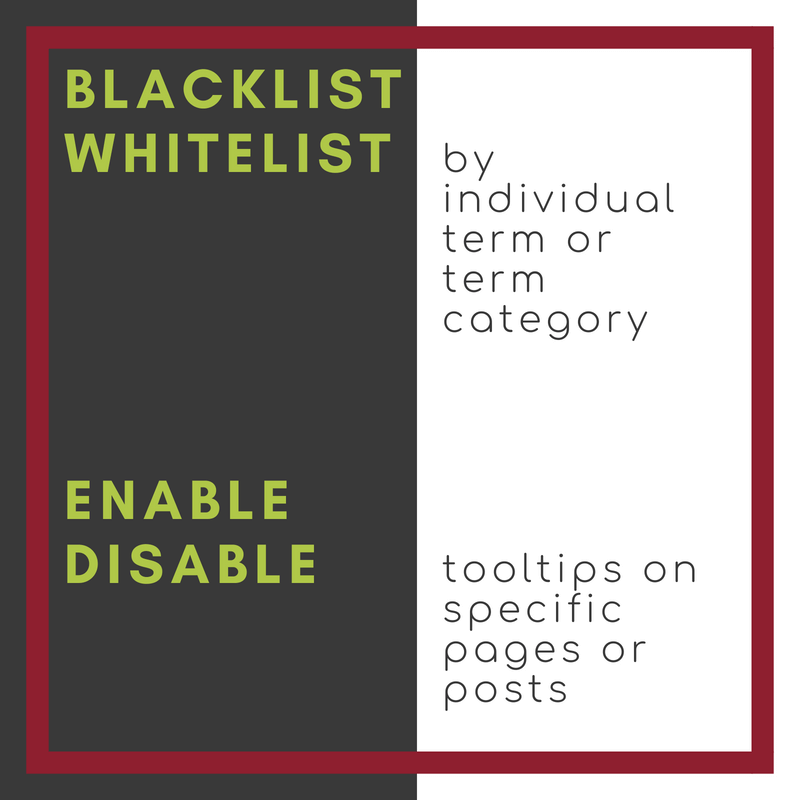 You can also add specific terms to a blacklist or whitelist on individual pages or posts to disable/enable specific terms without needing to completely disable the glossary function on a page completely, giving you complete control over where and how terms display throughout your site. Assign each term to a category to create custom taxonomies for your online dictionary, wiki, or encyclopedia. By using different categories, you can easily create multiple indexes, each with their own dedicated index page. Display the glossary index of any category on a page or post using shortcode. 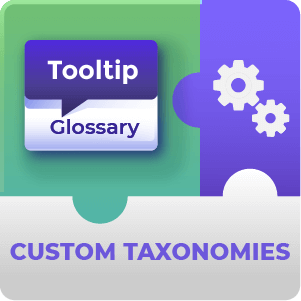 Or create multiple taxonomies with the Glossary Custom Taxonomies Addon. 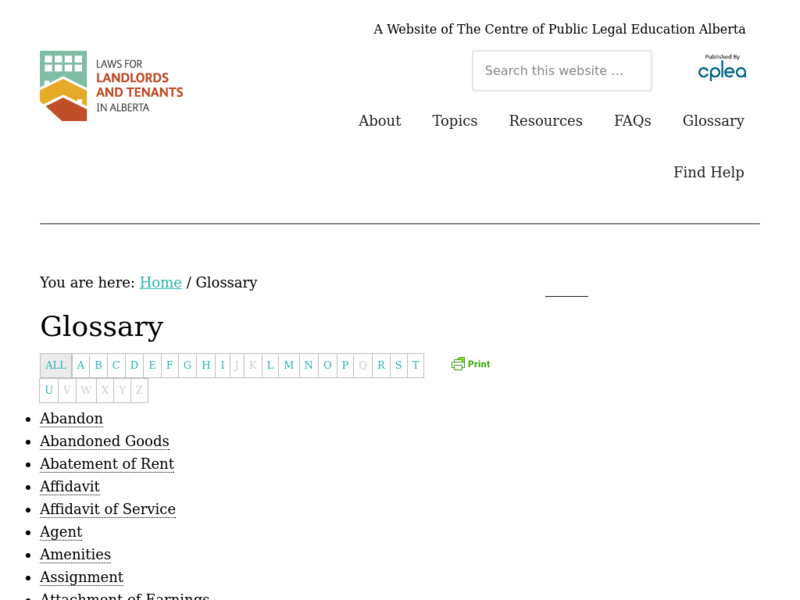 Glossary term pages are all linked together through a related terms mechanism and via the central index page. This helps to create a strong infrastructure that enhances your site's SEO by quickly and continuously building a network of internal links. 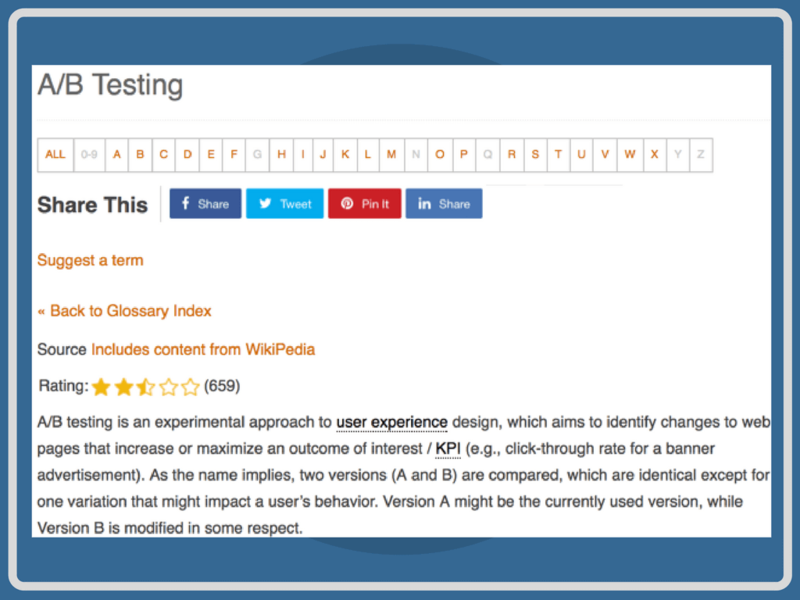 Term pages can display related terms and articles that use the glossary term, helping lead users deeper into your site content. By providing useful term definitions or supporting media in tooltips, users won’t need to rely on external resources to understand your content, no matter how technical it may be. This means they will understand your content better and stay on your page longer, making both them and Google happy. 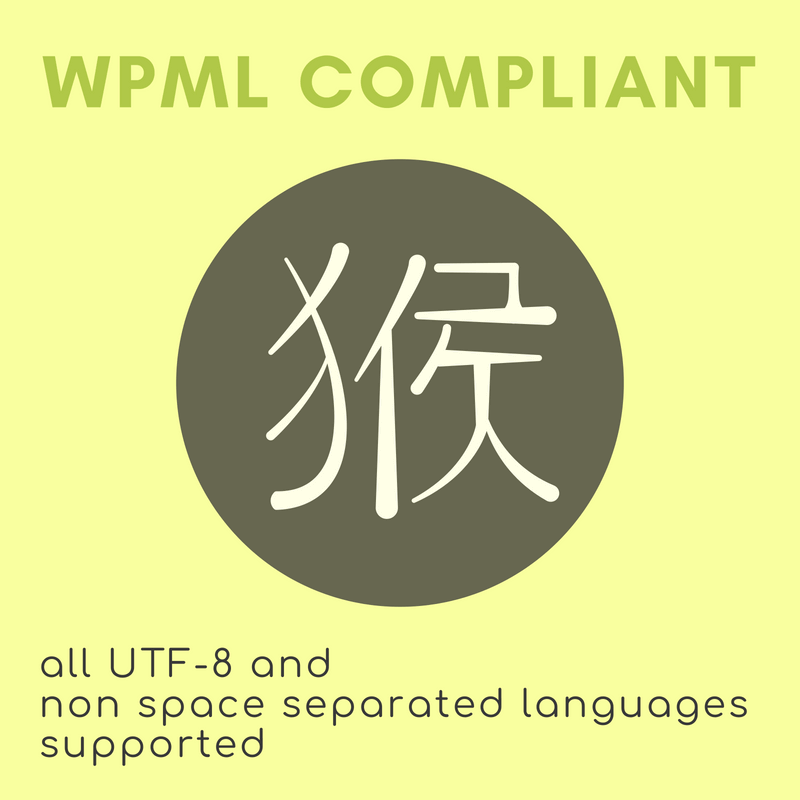 The plugin is fully WPML compliant and supports all UTF-8 characters. 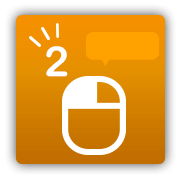 Create a dictionary or glossary in any language, including Eastern languages or non space separated languages. All frontend labels can be easily changed to any language so the user interface will speak your language. This also includes the alphabetic index page list. For multilingual sites, the plugin further integrates with Google Translate. With this free API key, you can translate specific words or phrases from a source language to a target language. Translated terms and definitions can be displayed in both or a single language and enabled or disabled for individual terms. Use free API keys to integrate content from external resources like Wikipedia, Merriam-Webster Dictionary or Thesaurus. Display excerpts of their definitions in popup tooltips, clicking on the term will route users to the term page where they can read full definitions, complete with supporting images, video, or audio files. 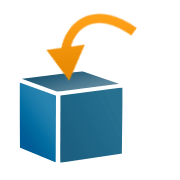 This is a simple and fast way for users to access supplementary information without leaving your page or post. Learn what terms users click, hover over, and view the most with the Glossary Log & Statistics Addon. This data can help you understand what terms are the most popular or confusing, allowing you to continually optimize and improve your knowledge base. Great Site Organization – Easily create an A-Z in-depth WordPress glossary of terms to clarify definitions and organize your site’s content. 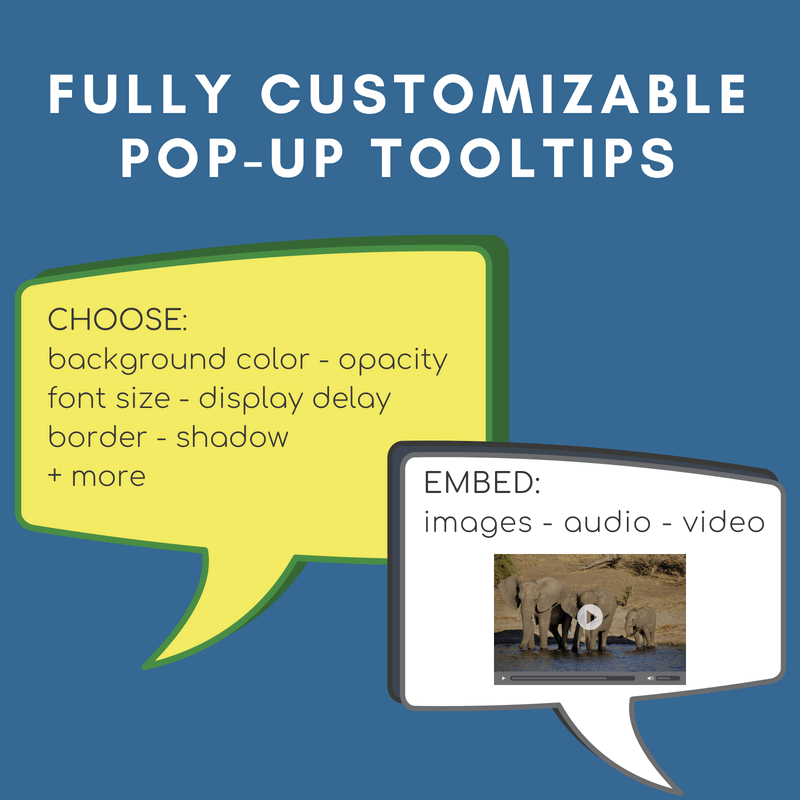 Popup Tooltips – Place term definitions, images, videos, or any html content inside pop-up tooltips to appear when terms are hovered over anywhere on your site. 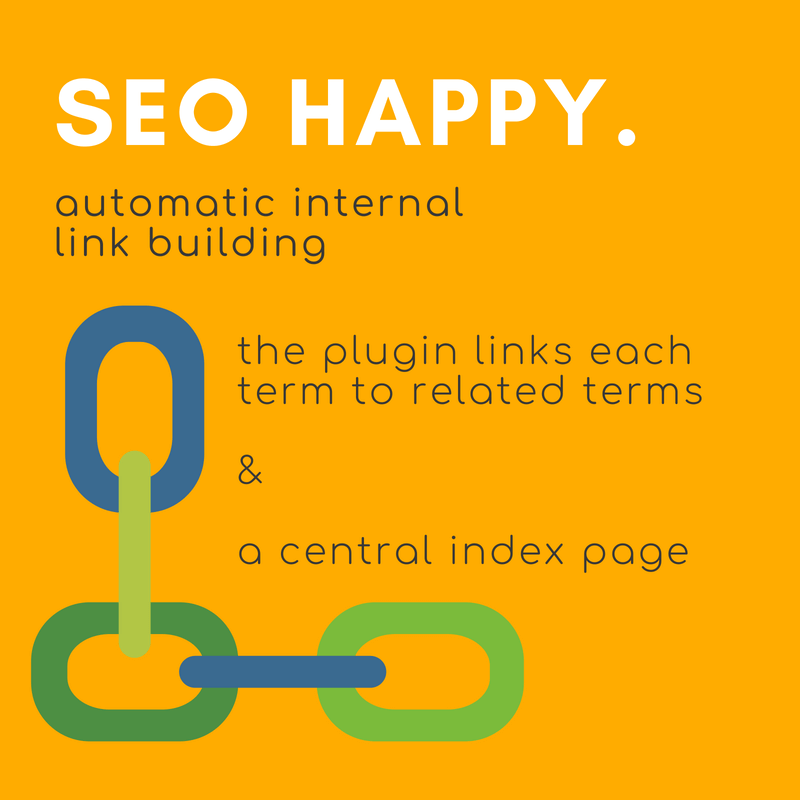 Internal Backlinks – Automatically generate pages and backlinks within your site to enhance SEO connectivity and user experience. Integration with External API – Use free APIs to draw definitions from Wikipedia, Google Translate, Merriam-Webster Dictionary and Thesaurus. Amazon Affiliate – Monetize your site by displaying Amazon affiliate links and WooCommerce descriptions in tooltips. Filter Post Terms – Customize responsive tooltips for specified pages and posts using include/exclude, whitelist/blacklist and other useful hacks. Tooltip Shape and Color – Shape the tooltip look and by customizing the tooltip background color, font size, border, shadowing, display delay, and more. 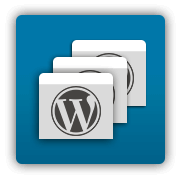 Who Can Benefit From a WordPress Knowledge Base? WordPress site owners who need to explain or clarify complex terms within their content. WordPress bloggers who want to neatly display and track affiliate links or product recommendations. WordPress marketers who are looking to increase SEO juice and generate content. How Does a Knowledge Base Improve Your Site’s SEO? Generate Internal Links – The encyclopedia or dictionary plugin lets you automatically create links to term pages from existing blog posts or pages. This means that you have created hundreds of backlinks in a matter of seconds to a term page from within your site with no extra work on your end! Integrate with External Resources – You can easily add definitions to each term from multiple trusted sources like Merriam-Webster and Wikipedia. Linking to trusted resources helps validate your content with users and Google alike. 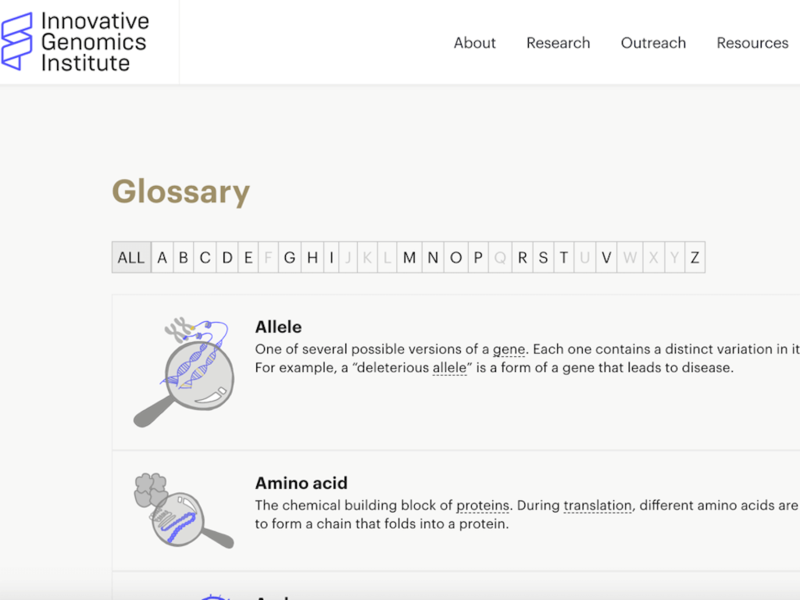 Build Term Pages with Valuable Information – The Tooltip Glossary plugin automatically creates a post for each term in the glossary and helps connect users to related terms and articles. This can help draw users into your site when they search for this terminology in Google, and help them stay on your site longer. 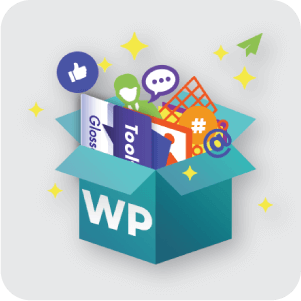 Check out our awesome WordPress e-learning Plugin packages and learn how to utilize them for educational purposes! Packages include students community support, knowledge sharing, discussion facilitation and curriculum building tools. Please check the user guide for tutorials and in depth descriptions of each feature. Custom Style – Create a unique glossary in your own style by customizing the look and feel of the index page and tooltips. 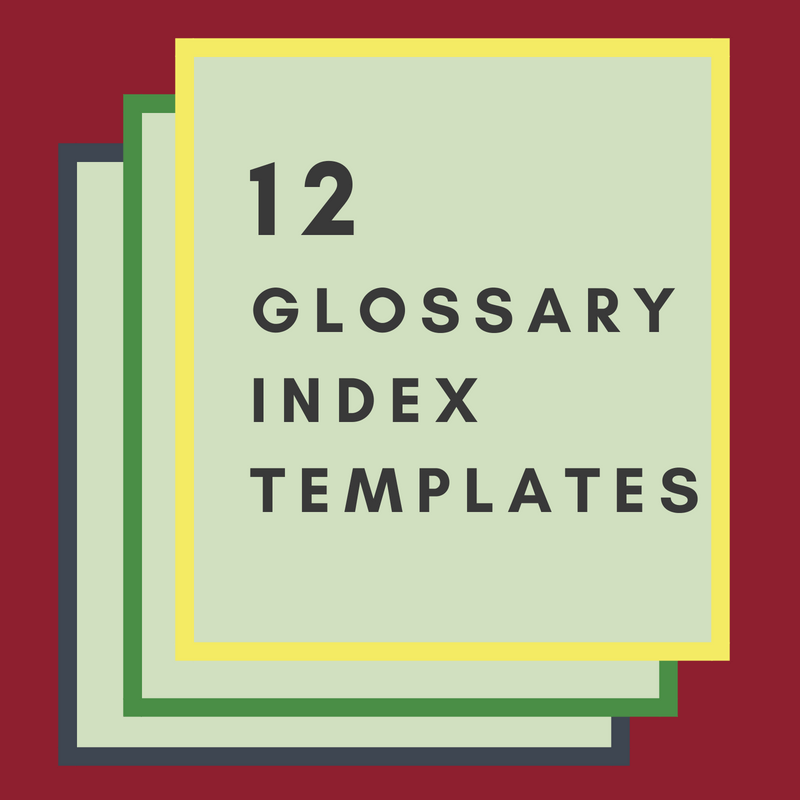 Index Templates – Choose from 12 index templates to control how your glossary index is displayed. 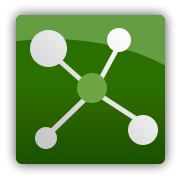 Multi-Site Compatibility – Fully compatible with WordPress Multisite, so you can easily spread your knowledge base across multiple domains. 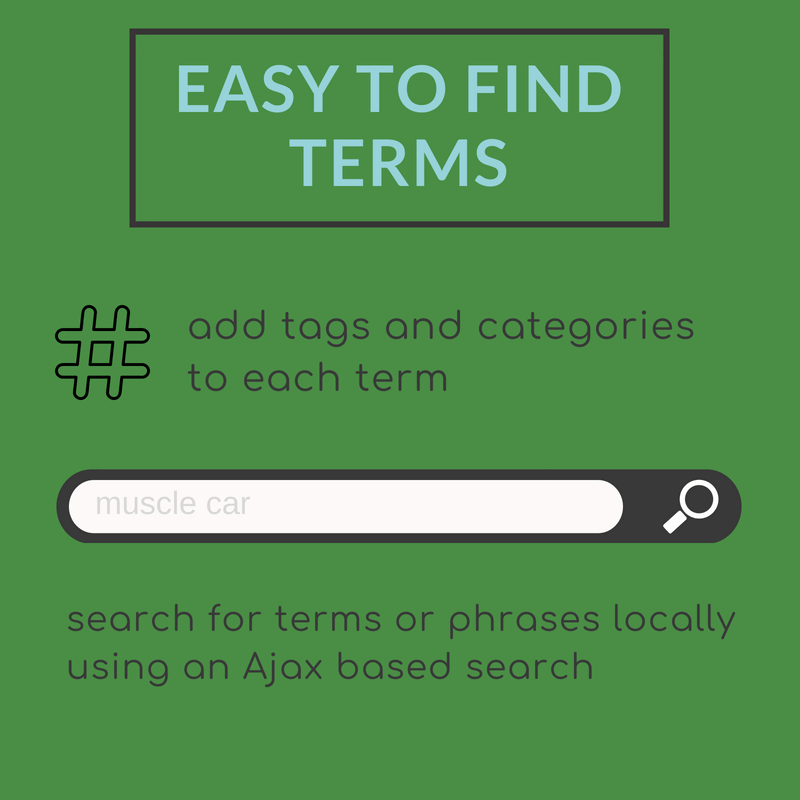 Search – Search internally for words or phrases in your index using a local, AJAX based search. SEO Optimized – Adding glossary term list builds internal links that strengthen your website’s SEO. 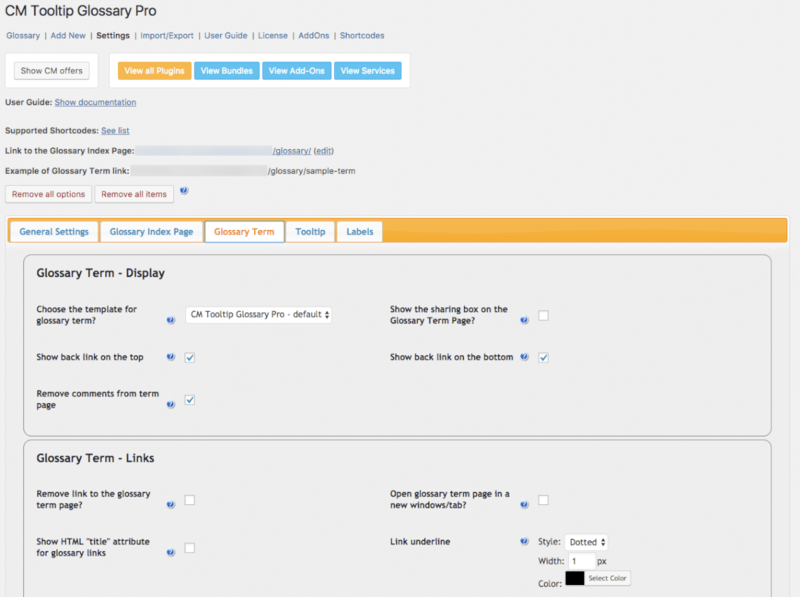 The glossary plugin works beautifully with Yoast SEO. 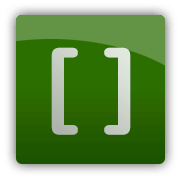 Shortcodes – Create multiple glossaries and display them on any page or post via shortcode, or use tooltip shortcodes to apply tooltips to terms without adding them to the glossary index. 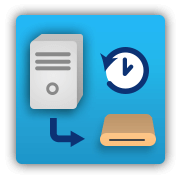 Knowledge Base Backup – Automatically save a copy of your external glossary to the server with PIN protection and scheduled backups. GDPR Compliant – The plugin gives users full control over their data and assists the admin with data regulations compliance. 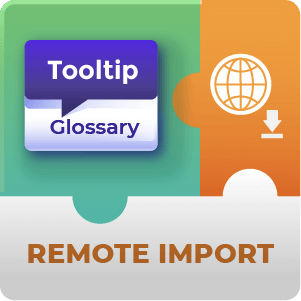 Import Terms – Build your dictionary, wiki, encyclopedia, or glossary by importing a lists of words using a .csv file. 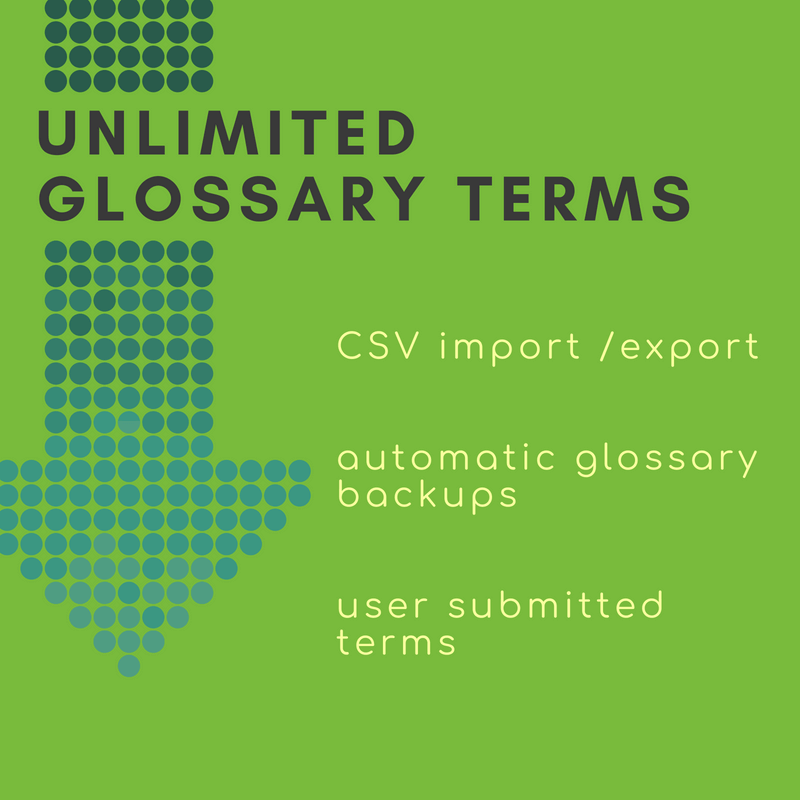 Export Terms – Export your dictionary, encyclopedia, or glossary term list to a .csv file. 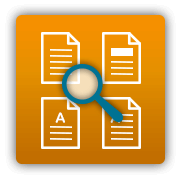 Share and build up your list by easily uploading it to other glossaries. 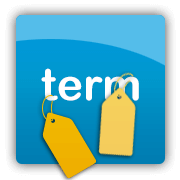 Term Template – Use a term page template to customize the display of words and phrases in your lexicon. Related Terms – Automatically display a list of related glossary terms at the bottom of a page or post. Related Articles – Automatically display a list of all pages and posts that relate to a word or phrase on the glossary term page. 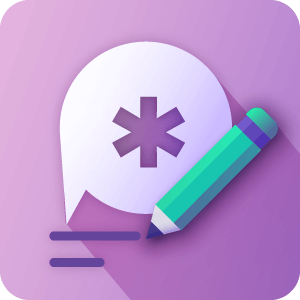 Abbreviations – Add acronyms and abbreviations to dictionary terms. Choose whether abbreviated words will also be highlighted in posts and pages. 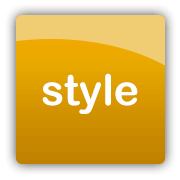 Synonyms – Add synonyms to words and phrases to clarify similar terms and expand your glossary’s lexicon. 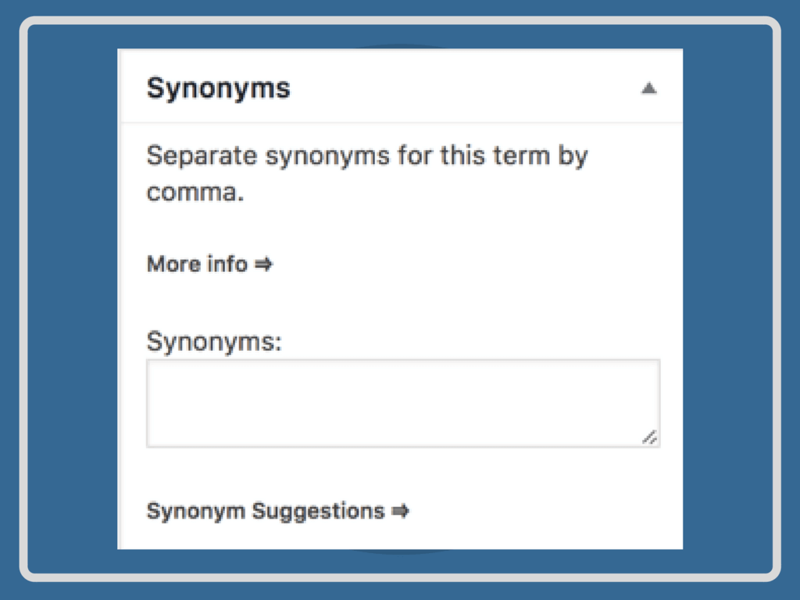 Term synonyms will also be highlighted in posts and pages. Same Term, Multiple Definitions – Create multiple definitions for the same term, giving you unlimited flexibility over term content. 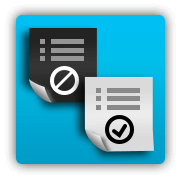 Blacklist/Whitelist – You can choose to remove blacklisted terms/categories from parsing, or have a whitelist of terms/categories available on given page/post. 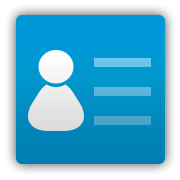 Term Tags – Use tags to organize words and phrases into searchable tagged groups. 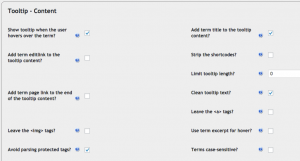 Target Term Link – Set target terms to link to external URLs. 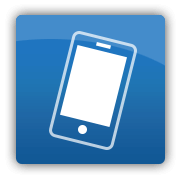 Mobile Tooltips – Tooltips are are mobile friendly and adjust responsively. 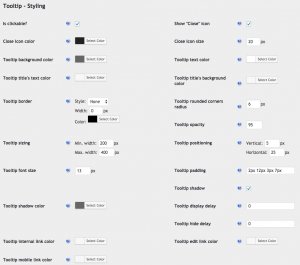 Custom Tooltip Fonts – Customize tooltip font size and style from a list of fonts available. Double Click Tooltip – Users can double-click on any word or phrase to show an infotip generated from Wikipedia, Amazon, or Merriam-Webster content. 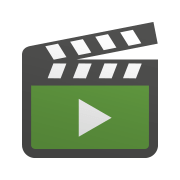 Transparent Tooltip – Control tooltip transparency to better display video and image infotip content. 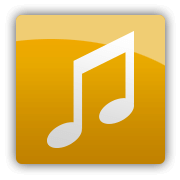 Audio Tooltips – Add audio files in tooltips for visitors to easy play within an embedded media player. 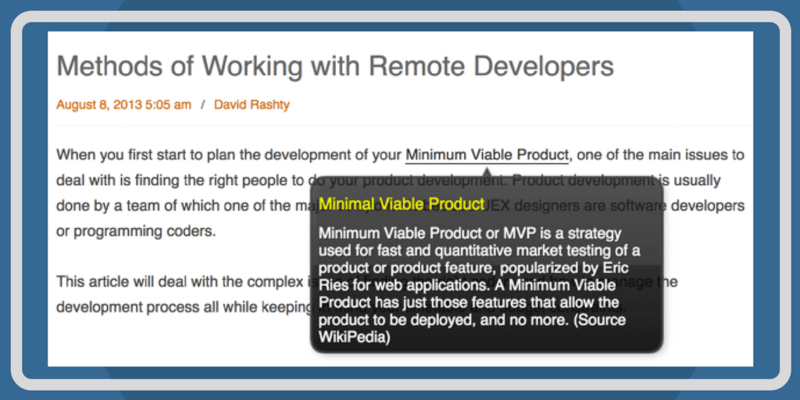 Tooltip Video – Add videos from YouTube or Vimeo to play inside the popup tooltip. Images in Tooltips – Embed featured images in each of your glossary items. Images are shown in the tooltip content when they are hovered over, and may also be displayed on the glossary term page. Tooltip Image Parsing – Display tooltips for images if the terms are found in the image alt attribute. 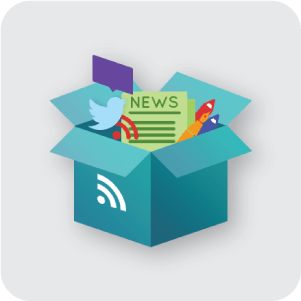 Social Media Widget – Add a social share widget to term pages, making it easy for visitors to share your content. Share/Embed Option – Display a share/embed icon on each term page that allows visitors to embed a glossary definition on their site with an iframe code. PeepSo – Connect your knowledge base with your PeepSo community. 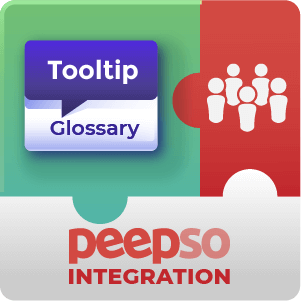 Show tooltips for PeepSo content and let members submit terms. Online Dictionary – Display Merriam-Webster or Glosbe Dictionary definitions with a free API key. Thesaurus – Add Merriam-Webster Thesaurus definitions to any of your dictionary terms to sync with official vocabulary definitions. 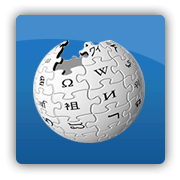 WordPress Wiki – Connect with Wikipedia to automatically fetch encyclopedic content for each glossary. Wiki content can be shown in a tooltip upon hover over and on the term page. 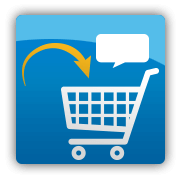 Amazon Products – Connect with Amazon to show recommended product links for specified words and phrases in a popup tooltip. 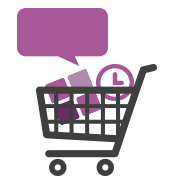 WooCommerce Products – Display WooCommerce products inside an infotip for specific terms via a glossary widget. 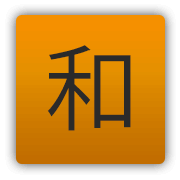 Localization – Includes UTF-8 support for special characters and All UTF-8 supported languages. WPML Compliant – WPML and multilingual sites are fully supported, letting you translate your glossary into virtually any language. 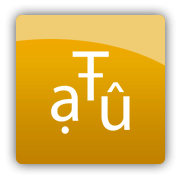 Eastern Languages – The glossary plugin supports non-space separated languages. Google Translate Integration – Translate specified words or phrases into the language of your choice using Google Translate. 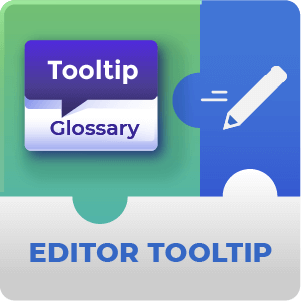 To see the major features of the Tooltip Glossary Plugin, check out the clips below or visit our demo site. Extend the functionality of your Glossary plugin with these great add-ons! Purchase individually or get all 9 add-ons when you purchase the Tooltip Glossary Ultimate eCommerce Edition. Add-on for the Tooltip Glossary plugin that lets you change the tooltip's shape, color, opacity and much more. 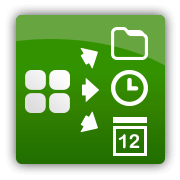 It offers various improved shapes and themes for the tooltip and improves the overall user experience. Mobile responsive. This add-on for the Tooltip Glossary tracks and reports tooltip usage statistics such as number of tooltip hovers, term link clicks, inside tooltip clicks, term overall impressions, and server loads. Apply this data to your site to improve your glossary performance. 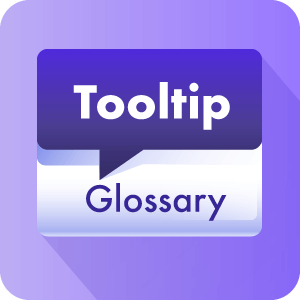 This add-on for the Tooltip Glossary lets users suggest new terms for your Glossary. 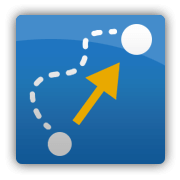 This add-on works for both anonymous and registered users and allows you to control which users can add new terms directly and which need suggestions moderated. Add-on for the Tooltip Glossary that provides an easy way to import, replicate and create an up-to-date copy of your CM Glossary across several WordPress sites or domains. 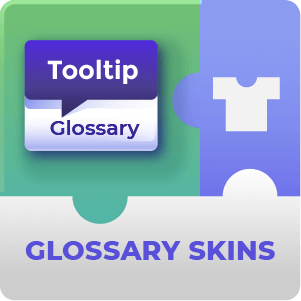 This add-on for the Tooltip Glossary plugin lets you add seven new widgets to your glossary, which enhance the user experience and glossary engagement by exposing its content to users and visitors. Create visually appealing widgets to improve glossary content and user interaction. Make your glossary more accessible by adding a widget to the bottom of your website and let your users easily search your Glossary terms and content. 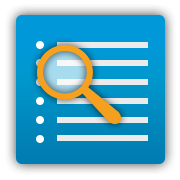 This tool includes automatic suggestions for related glossary terms. 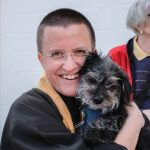 Read her story: “Zen-sational”: She Uses a WordPress Plugin to Teach Buddhism. Read his story: “The Information Is Now In My Hands”: How Tooltip Glossary Helps His Courses. Read her story: Creating a Language Glossary for Millennials… with a WordPress Plugin. The Ethics Unwrapped website has an average of 40,000 users monthly. 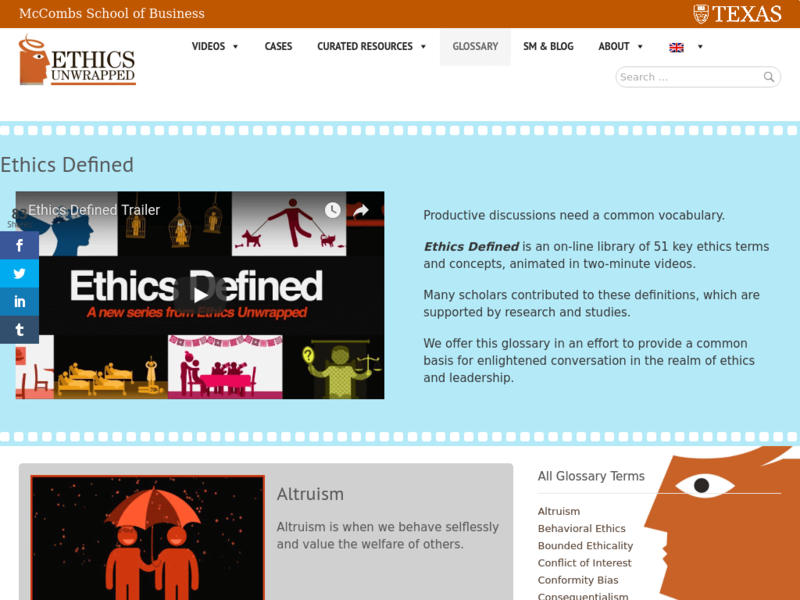 Read her story: How Tooltips Glossary Helps to Make Ethics a Fun Subject. Nice plugin, very good support. Can definitely recommend this plugin, value for money! We’re using the tooltips extensively and can’t be happier with it. The issues we had were dealt with swiftly and in a very polite and friendly manner. Highly recommended! So far I’ve had an excellent experience with this plugin. The free version did everything the author said it will do. I upgraded to the Ecommerce version and had a minor display problem which their support took care of in record time. I heartily recommend this plugin to anyone looking for a good glossary plugin.Now two weeks later. I’m now VERY VERY pleased with the plugin and the people who created it. A major conflict showed up with another really important plugin on my site. I honestly thought I would have to ask CreativeMinds for my money back. I sent in a support request and a fellow named John got back to me right away with a very nice fix to the problem. Wow! I wish I could give them another 5 stars. 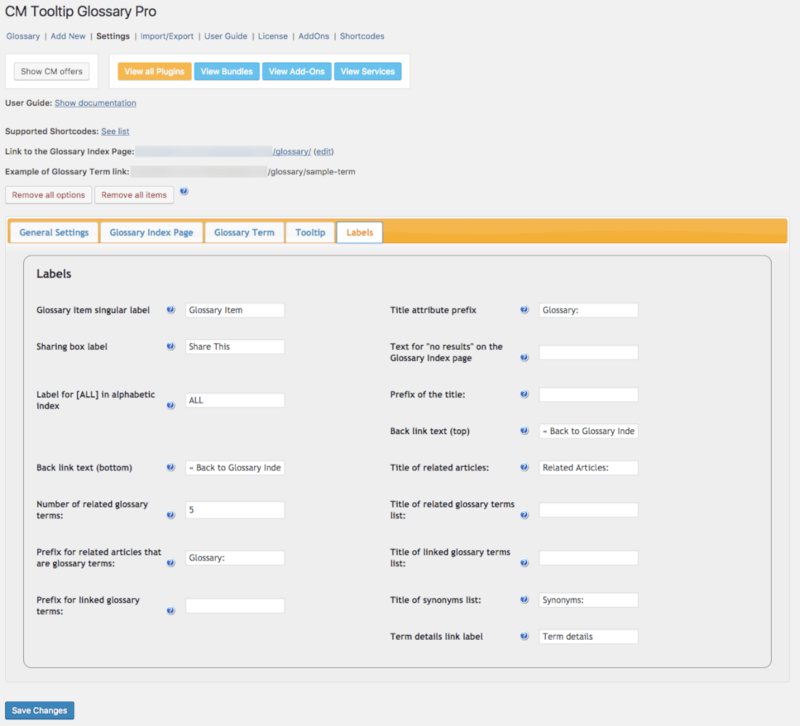 CM Tooltip Glossary Pro + has allowed us to take our site to the next level. Its ability to cross-reference material encyclopaedia-style creates incredible opportunities for an online publishing platform like ours. What makes it even better is that they have a dedicated support team that gets the job done when you need help. Good work and thanks. A very good tool! I’m using the free Version for my Blog and it does exactly what it should! This is a really well-thought out plugin and very easy to work with. I’m a fan! This plugin do a perfect job ! No negative point found ! Great product for English learners! I run a website that relies on users understanding the meaning of the terminology used throughout, without sending them off to a Glossary page every few sentences. 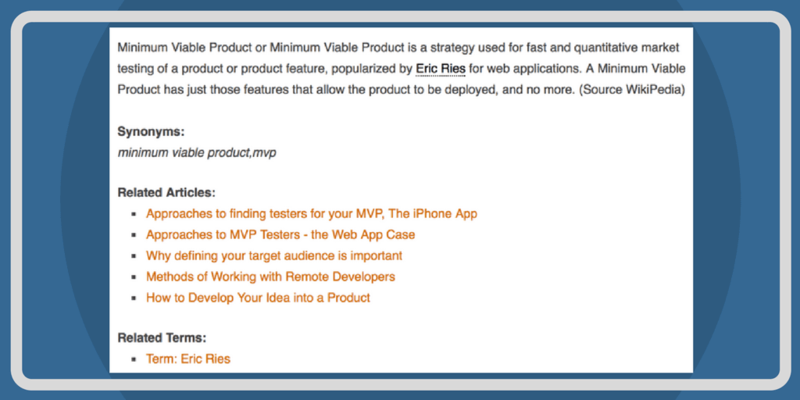 This plugin makes it seamlessly simple, by adding tooltip-style pop-up glossary definitions…. What’s more, the plugin offers the additional option of linking the glossary entries to a separate page for more in-depth definitions and links to websites that give more information and links to external/internal websites, pages and resources. 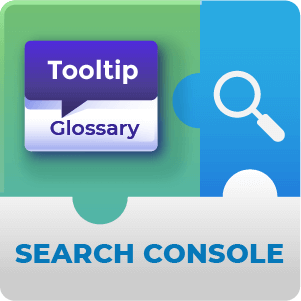 This mean that the user can view the concise glossary tooltip definition by hovering over the term, and then visit the in-depth description page by clicking on it. Used the free version for a while, wanted per-page-disable so upgraded to pro+.Had questions answered rapidly by support.Recommended. I’m new to using WordPress and plugins for it. 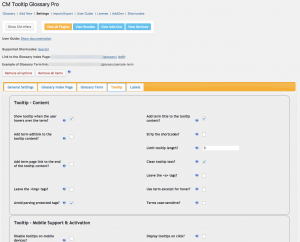 CM Tooltips Glossary has been a really pleasant surprise–I can use it! The interface is pretty intuitive–I simply explore different parts of it and find what I need. When I can’t find something, I e-mail to Support and get my questions answered within 24 hours (sometimes a little longer on the weekend). Support has even added features that I’ve requested!I’m building an encyclopedia of quantum physics, and the Tooltips Glossary plugin does what I need. Prior to buying it, I had looked into all the alternatives–and this is really the only plugin available that does what I need.I’m EXTREMELY happy with this plugin! thank, the plugin is working good in my website gamma.or.id . What a great plugin! I easily added definitions for words that need defining and the plugin did the rest. The language learners can now mouseover the words they might not know and have definition show up in a tooltip.Many thanks for creating this! Easy installation, instant satisfaction. And it even looks great on my site. Happy! I really love the plugin in it’s simplicity. I first tried the free version, than got pro and finally decided to upgrade to pro+. Customer service was super fast to reply to my requests and helped me fix my problem within an hour or so. I highly recommand this glossary plugin !Nice support, nice options and pretty easy to use for non-english people !I’m very pleased to use it 🙂Thank you ! This is a great plugin I highly recommend if you are building a glossary.The support is great as the team always gets back to me.There are numerous options to customize the glossary layout and there are options to choose a version that meets your needs as well.If you want to see a comparison of features between the various versions click this link https://www.cminds.com/wordpress-plugins-library/tooltipglossary/#pricingIf you need a glossary solution … look no further … this is the one you need! Great Plugin / Great Support: Recommended!! This is a fantastic plugin, and I highly recommend it. I asked for support and got it within 24 hours, twice in fact. Best of kind plugin. Get it. Purchased the Pro version, only to find out it does not support catagories (didn’t read that, my bad). Send a e-mail on sunday to upgrade to pro+. I got a answer within 10 minutes and it was taken care of within 30 minutes totaal. Amazing service and besides that: amazing plugin! It’s a very nice plugin that’s bound to have a positive effect on SEO. This is the second time I've communicated with Marcin via the support channel and once again my expectations were not only met, they were far exceeded. I was able to communicate quickly and effectively with Marcin in order to figure out what was going on. Two big thumbs up from me. Great products, great team!! I’m still in the process of setting up my glossary of stock market terms, but so far I have been able to do everything I want to do, except for the linking of glossary terms to the tooltip itself, which I’ve been told by support affects the performance of the plugin too much. But otherwise I’m very happy. The tooltips look professional and everything links perfectly. I’m also able to add videos and images to glossary terms, which is very helpful. And it allows you to add synonyms that automatically appear in the glossary index page. I tried quite a few glossary plugins before this one, and this is the only one that offers to most in terms of functionality. And support is very responsive. Overall, I’m happy, thanks Creative Minds. 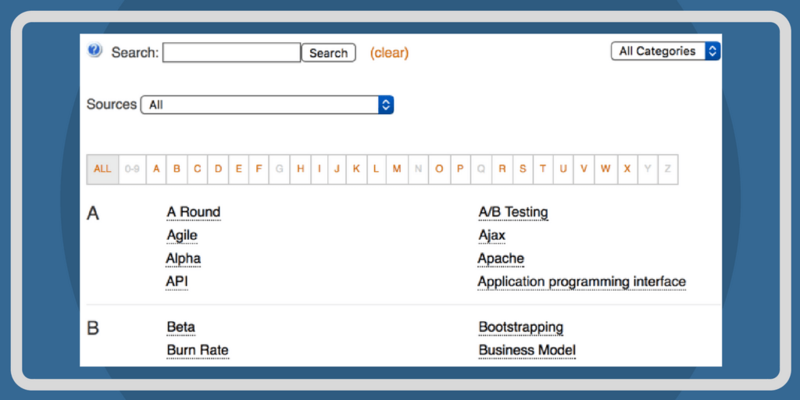 If you are about to do research on the best glossary plugin, let me save you some time. The CM Tooltip Glossary plugin is by far the best. Let me explain why… I researched about 10 of the most popular plugins for my site [Link redacted], I looked up each one, researched its functionality and then finally decided on CM Tooltip Glossary. 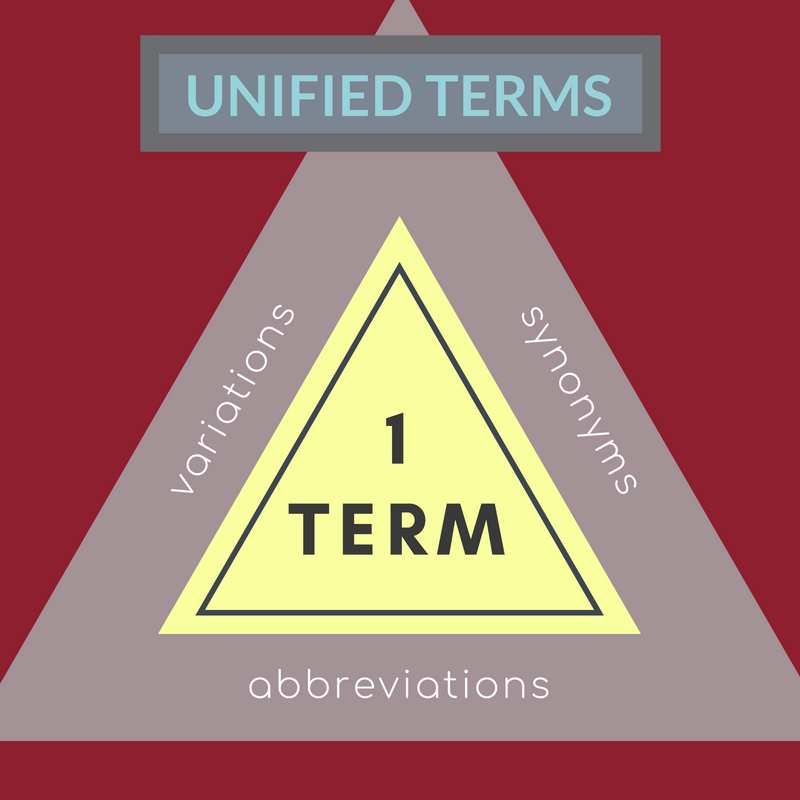 Here’s why… most people are simply looking for a way to list out a few terms. However, this is missing the larger picture, which is quickly building a massive link structure for SEO. This is what CM Tooltip Glossary does amazing. While other plugins simply list the terms in a grid format, CM Tooltip gives you the ability to automatically create links to the glossary pages from existing blog or article pages. This means within seconds, you have the ability to create hundreds of backlinks to the term page from within your site. 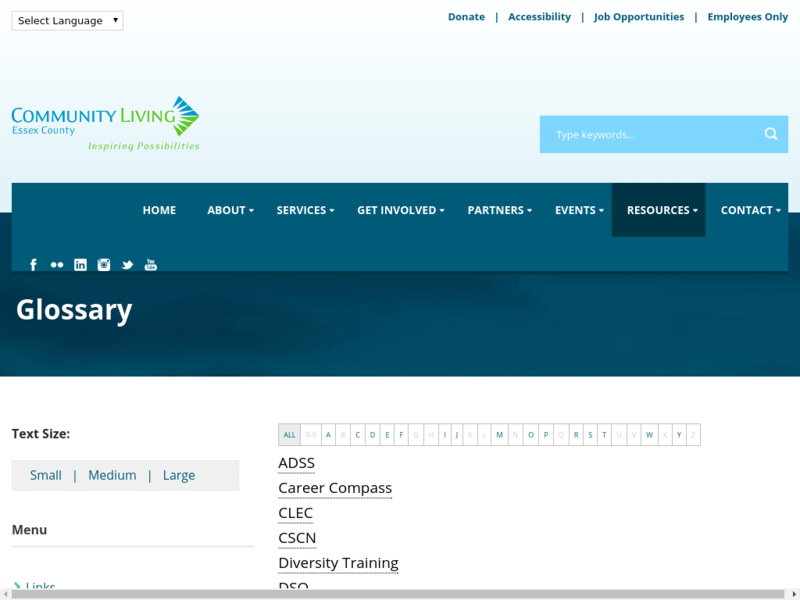 It also offers a variety of customization options for the terms and how they are displayed when you hover over them. You can easily add multiple sources to each term, which again, is a great way to strengthen your SEO. 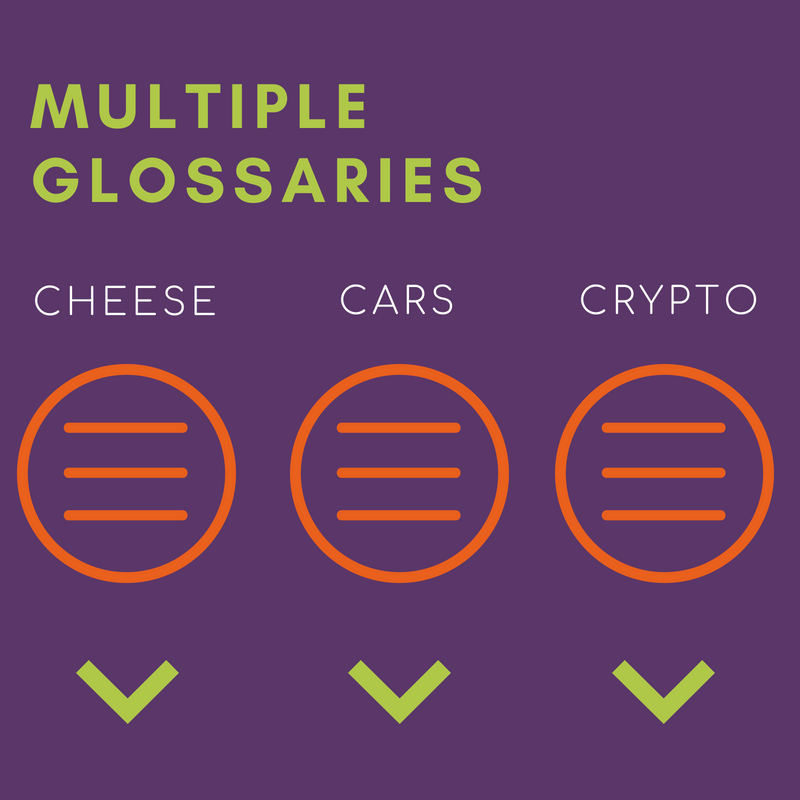 Bottom line: If you’re going to build a glossary, you might as well build on that creates value other than listing a few terms on your website. I thank the prompt service whenever requested. Good team! 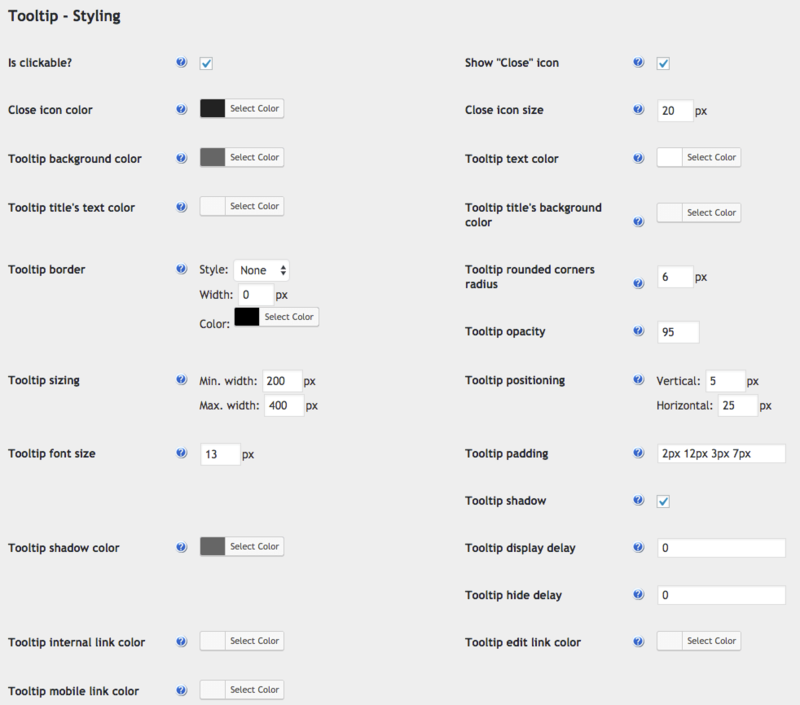 This is a role model for how a plug-in should be!I has more customization options than I expected. Everything is tought very well.Worth every penny! Amazing plugin, it’s exactly what I was looking for. The best support I’ve ever seen. Thanx! Works great with the site, also the support is fantastically helpful too! Helped us with issues of our ajax site a lot, thanks guys! My site uses a custom theme, and the CM support team helped me to figure out why the theme didn’t play nicely with this plugin. Definitely worth what I paid for the premium plugin! We used this glossary tool for our new website which has 1600 glossary terms in 7 languages.The plugin is working great and any issues we encountered surrounding the multilingual aspect of the website where dealt with by support in an eager, fast and enthusiastic manner.We also tried out other glossary plugins, but this tool got the job done with extra features not available in other plugins.The support is top class and will enable you to achieve your objective.I recommend this plugin 100% for your glossary needs. Great product with tons of comfigurability! Nice concept and excellent implementation. Easy for anyone to set up and use. Lots of creative possibilities here. I had an idea for my future site and I wrote a message to support with my suggestions. And it turns out that some (that make sense) of my suggestions will be implemented in a future release. Very cool! This is a first class plugin with a very extensive feature set. I use it as part of a small knowledge base and it is a tremendous timesaver. If anything, the hover activated tooltip part of the plugin, although very well implemented, is secondary to some of the other features – especially the automated term highlighting and the inclusion of related articles at the foot of each page (all customizable on a page/post by page/post basis) .I did run into one or two fairly minor issues related to integration of the plugin with the WP theme that I am using. Support to resolve these issues went beyond excellent.Highly recommended on all counts. There are a log of great plugins out there and this is one of them. Not only does it work excellent but the support was so fast I was amazed even with the amount of questions I was throwing at them. That is what makes a plugin great. I can see that it helped with SEO and that was one of the reasons for adding it. I had special requirements for the plugin and they were ready to implement it by our needs. The team made excellent job and the support was amazing. Great plugin and great support team! I tried several glossary plugins, most of them free. None of them offered the feature set that Tooltip Glossary offered. 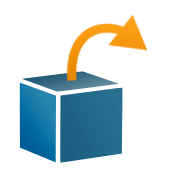 The configuration panel offers a huge array of customizations. 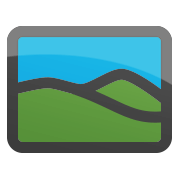 It works like advertised, and the support is fast and friendly. I highly recommend it. We’re using this to add references to a field guide. It works wonderfully. Support experience: We were experiencing an issue where occasionally, one of the references would break and show the HTML with the entirety of the information. I opened a ticket and set messed up providing them access to help troubleshoot. 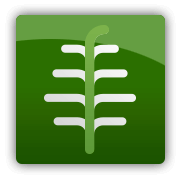 However, just by my description, they were able to provide the fix (to my custom code) to address the issue.Long story short, we have a custom function that customizes our post titles breaking plant names into name, genus & family. It was breaking the code for the glossary entries. They provided the code to exclude the Glossary titles from our function.It works wonderfully! Functionality, flexibility and options exactly as advertised and more. But the support is what makes this 5 star! Easy to install, deep customizing und great support! 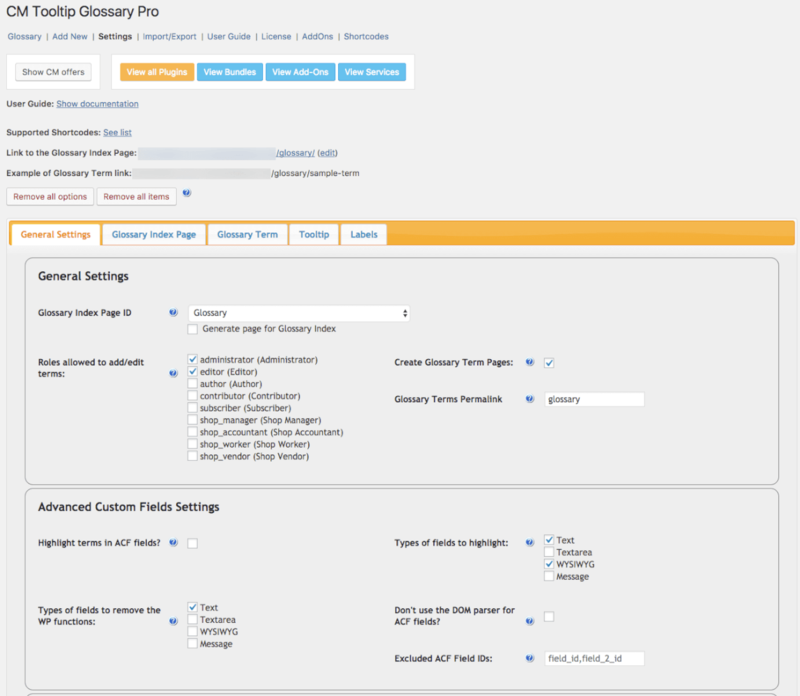 Very nice glossary plugin with huge configuration options. Beatiful tooltips and many variations of view. Very good support team. Thank you! A slick, straightforward and highly manageable way of adding tooltip popups to sites. Very customisable: you can tell it only to highlight the first instance of a word or phrase on a page, for example, or to omit certain words or whole pages from pop-ups.The tool also builds its own glossary, which can be extensively styled. The only drawback is that if this glossary page shows the definitions in full, then rolling over the titles pops up exactly the same definition as readers are already viewing – and there’s no way to turn this off for titles alone. Otherwise, an excellent tool with terrific customer support. I had been using their plugin for a year, but then began encountering a few issues. I sent them an email and they helped out straight away. They were absolutely fantastic and sorted everything. I would highly recommend them. Thanks for the wonderful plugin. 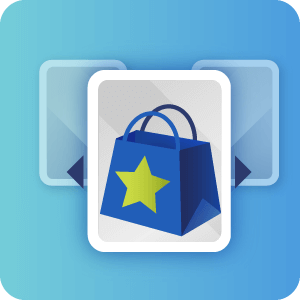 Incredibly flexible and really easy to use.Your support is fantastic, every site is a different, and your support team made sure that I have all the functionality I need, this is what a product should be!Thank you for a great experience,Ecommerce Retailer. Thank you guys for this useful plugin! Just got myself the pro+ version of this one after using the regular one for quite a while. Very satisfied … and now I can have seperate glossaries in parallel … very nice! Highly reccommended! 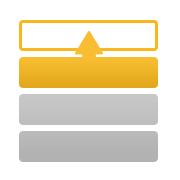 A good glossary plugin with a good support. The plugin is a perfect fit for our church website … we’re working to reduce the amount of text the visitors have to wade through, by moving much of that text into Tooltips. It’s doing the job for us very nicely!8/29/15 Still a great Plugin, with responsive, professional tech support! We’re currently pro users (licensed users) and recently had some hiccups when we upgraded WordPress to 4.2.2. In the end they were all items on our end / our responsibility, but support was extremely fast in responding (and also very non judgmental). The plugin is very robust and gives you a lot of control. Easy plugin, full of features. You have a glossary instantly. Had a bug in my website , I used the support and they fixed it quickly. Have looked at all tooltip plugins on market and this one works the best for us, by far. The dev is VERY responsive and has gone out of his way at least four or five times to fix issues we were having, some being conflicts with other plugins that were coded poorly …. 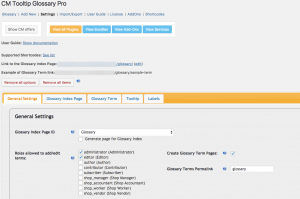 He has even gone as far as to update cm tooltips to prevent said conflicts from occurring…. even though it was the fault of another plugin. 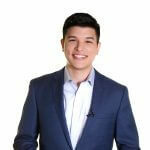 One of the most responsive plugin developers I’ve worked with, by far! This is a really handy plugin. I had an issue that was rectified fairly quickly and I’m super impressed that their tech support team gets back to you within 24 hours. You can’t beat that. this is a great solution and very unique plugin, many thanks!!! This is just BLISS for information workers, teachers, researchers, a FAQ provider, a business directory, a project knowledgebase. 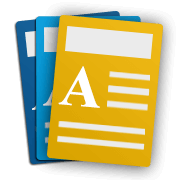 OUTSTANDING – FEATURES * ADMIN INTERFACE * STYLING * SUPPORTI have searched for years and years to find the best way to present articles online and at last at last I have it. 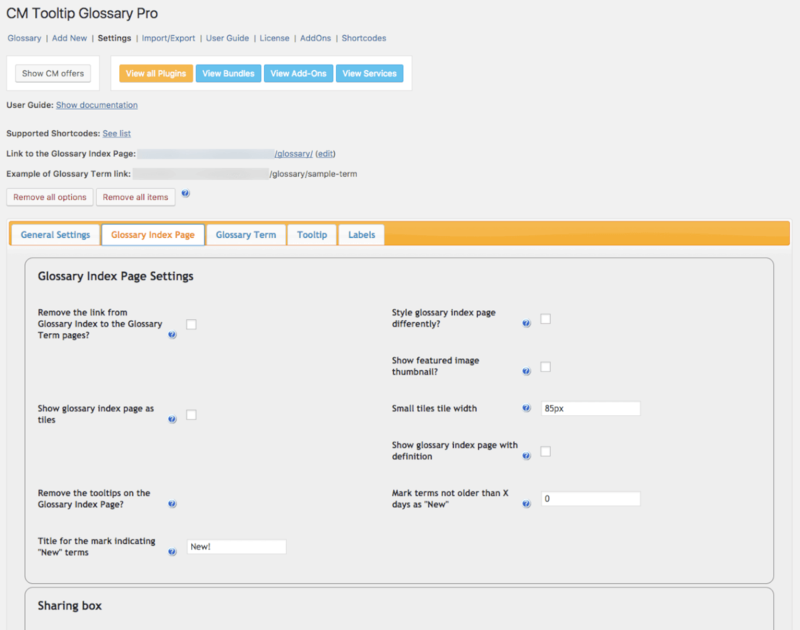 Tooltips Glossary is very well presented on the admin side with plenty of admin info notes. It has tons of options so I can be fussy and get what I want. Heaven. The really huge thing is its core – the global sitewide links which attach to every instance of the titles of its articles (Terms). So wherever that word occurs, it becomes a link, and the link opens its article. Not only that, a hover on the term gives the summary excerpt (a definition perhaps) or the first paragraph depending how you set it. Yet more – I can add synonyms like a plural, or variation of the word, or an alias name for a person. So when all these show up they will all link to the original article. (I have to use a small workaround for author names e.g. 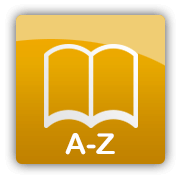 Smith, John; but it’s no big deal)The Glossary – FAQ Knowledgebase Dictionary Encyclopedia Encyclopaedia Directory Index or whatever you want to name it – has its own index page which lists all the titles as links A-Z in various styles I can choose. The Glossary has Categories so David the Dev has just added a way to have category index pages too. There are also Tags. Then there are Related Articles links and a whole lot more.Styling is good and there’s an extra plugin for styling the popup Tooltips boxes.Support has been outstanding. David is keenly interested in developing the plugin and things I suggested expecting to pay for as custom features have calmly been added to the plugin within a week or two! How cool is that? 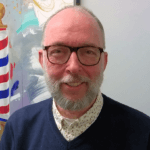 David also understands what I ask for, or else carefully checks to see he does.I am using the Ecocommerce (top level) of Tooltips Glossary but I did also find the free version is excellent. I went for the top version because it provides fast support and I’m a fussy admin, and because I really needed a couple of the premium extra features.Don’t go for inferior plugins if you want a good site. Get the best like this because this is the kind of plugin which will carry the centre of your WP or else a major section of it. messing with inferior copies. With this plugin I was not only able to provide the extra lexis detail my English language students need, but by linking to the dictionary and Wikipedia, I was able to add enormous amounts of content to my site with ease. The support is fast and well, supportive. A small error was quickly remedied and I would not hesitate to recommend this plugin and the people behind it. 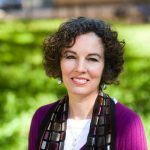 This plugin allowed me to set up a PhD project based on knowledge sharing. Moreover I used the free version on different websites on specific fields improving a better understanding for the user. The Creative Mind support is efficient. I use the free version of this plugin on my home improvement blog to provide definitions to words and phrases that may not be familiar to my readers. Also in combination with Yoast’s SEO plugin, it makes every entry search engine friendly.Unlike some plugins I have tried CM Tool Tip Glossary has performed flawlessly with no conflicts with WP or any of the other plugin’s I use.While the free version has been a great addition to my site, I am strongly considering purchasing a pro version to take advantage of even more features. I am managing a website that offer Physics tutorials. 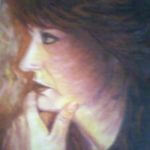 My website if fully loaded with terms that are related to the subject. 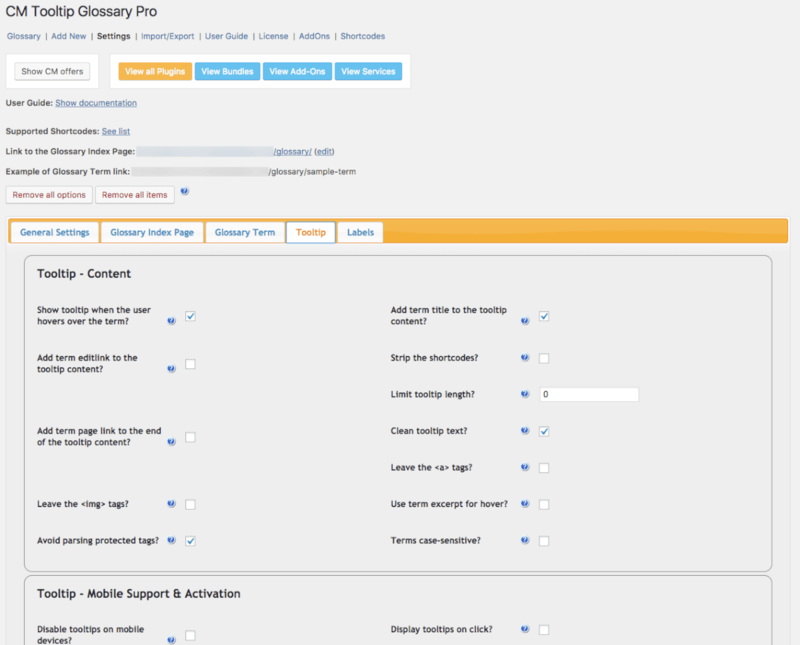 CM Glossary Tooltip helped me a lot to assist my visitors understand the content with less hassle. Before I used this tool, a lot of visitors had to Google the stuff in order to figure the exact location. 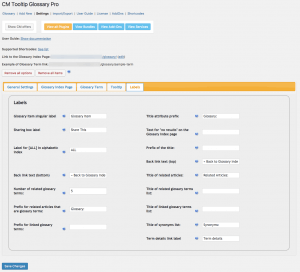 But CM Glossary Tooltip provided an ideal solution to it through linking glossary terms. I am highly impressed by its results and can recommend this for any WordPress based website out there! This plugin has been a great boon to my gamer website which is about welcoming newcomers to the gaming community. I use a ton of game terms and such on there that some people simply don’t know and I’ve been asked many times what certain words and phrases mean. This has clarified so many things for the users of my site and that is exactly what I want in my site, understanding. I’ve even gotten comments and messages telling me they like that new feature. I love how easy it is to use and it’s customization is a must have for me. Really happy that I found this and I’m gonna continue using it. 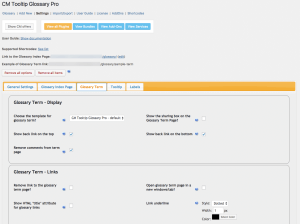 CM Glossary Tooltip has been a great addition to my website. I use a lot of different financial terms on my site and tooltip provides more info on the terms I use to make it much easier for my readers to understand. 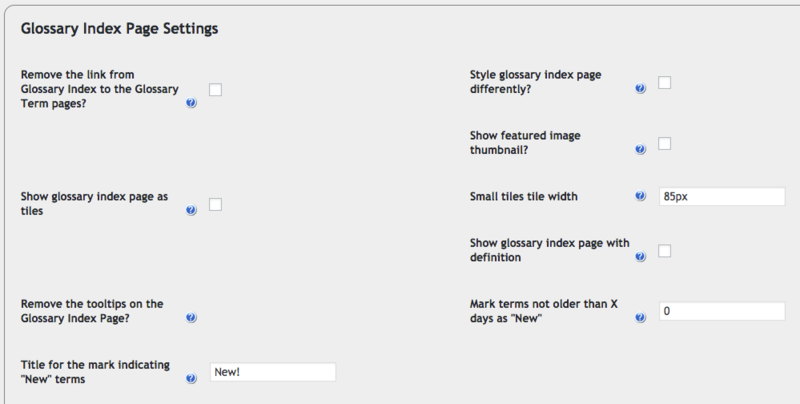 The feedback I have received on my site after installing CM Glossary Tooltip has been very positive. Everyone has commented on how much they like the fact that they simple need to “hover” over the terms they don’t understand in order to see a definition of it in more detail. I have also received many comments on the A-Z Glossary Index Page that shows provides the links back to the source page. Many of my financial reports can be linked here and visitors on my website have provided a lot of positive feedback for this new improvement. I was so impressed with the free edition, that I purchased the Pro Edition of Word Press Glossary. It has been very beneficial for me to be able to add synonyms and abbreviations as well as plural forms of words. The Pro Edition allows me to generate link types for much larger glossaries and this feature alone has been well worth the money. I have been very happy with this product and highly recommend it. I loved this software so much! I enjoy writing and reading informational articles that have plenty of medical terminology. If I am reading the work of people who use this software, I can understand the article easier. Rather than having to Google search for each definition, I can hover above the word to get a definition. Knowing this, I am sure my readers also find it easier to understand what I am saying when I use medical terminology. Like any product, there is always room for improvement; unlike every creator, this software is improved on a daily basis. Great software, unique software. Buy it! I have this plugin for years. First the free version and then the Pro. It is getting better and always has an efficient support. Congratulations to the developers! Plugin author has been constantly improving and adapting this product to my needs. It has been an integral part of our website providing tool tips of complex medical terms for dog owners. 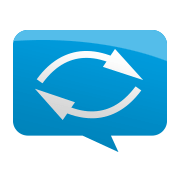 We couldn’t help owners as well as we do without it.The many updates have been extensive and recently, at my request, the plugin is now compatible with bbPress forums! This was critical to helping owners with sick dogs.I did need to spend some time working with settings, but those detailed settings allowed me to really fine tune how this looks on our website. I still have to look into the linking with dictionaries!I really like how this integrates with my SEO plugin. This draws people into the site who search this terminology in google.I appreciate the author’s sensitivity that we may not want this on every page and there are several settings to fine tune this.The entry is so easy that other moderators can help make entries.The applications for this as a training and educational tool are extensive. I can also use photos in the tooltips.Buying the upgrade is really worth the support you receive. The greatest value of this plugin is (except for it’s powerful features) that it’s supported and developed on a daily basis. 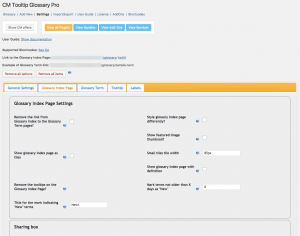 With no doubt this is the best glossary plugin for WordPress. Support and Help is simply fantastic. While there’s a few features I’d like to see, this is one heck of a good plugin. We cranked out 281 new and very useful pages in our site in a matter of a couple of hours start to finish. Two thumbs up and five stars. We were able to use the plugin to construct a glossary from spreadsheet data we have. The instructions provided in the settings page to properly produce comma-quote delimited CSV were very helpful as well.My only wish was that it was a bit more clear in that you have to manually add the glossary taxonomy/categories first, note down the categoryID, and integrate that to your spreadsheet data before importing. In other words, a more beginner/non-developer friendly way of explaining the process.Otherwise, great plugin with rapid support response time! Great experience with support team. Resolved within two hours of contacting them. This program helps make an educational support group the best it can be. So many times we have terms used that someone may think they know but this allows to clearly understand the terms and language used in such instances. Our site, educating the world about CHD is a prime example. This plugin is a must have for any site using terms that may not be familiar to all people. Works flawlessly with around 80 plugins. Easy to set up and use. Intutive with very little learning. Thank you to the Author for a fine, well behaved plugin!Job Well done! 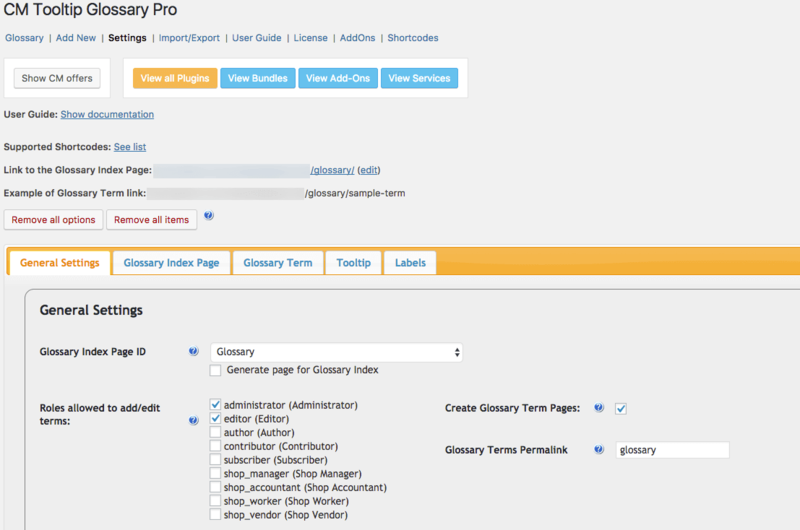 Absolutely the best glossary plugin available! An amazingly clever plug-in that far surpasses anything related to it. The developer is a great guy and sets a higher standard not only for customer support, but responsiveness, in my case to a bug in the pro version which he fixed within 48 hours. If you are wondering about the pro plus edition, don’t. It’s really the best of the best! A big thanks to David for getting this plugin to work in Japanese.Initially it didn’t work, but after sending an email to let support know about this, David and his team fixed the problem. I upgraded to Pro and it works perfectly. Very useful plugin.Thanks again! Thank you so much for all the great support & quick response every single time I needed you.Keep up the nice work. This plugin, even the free version, adds a real “wow” factor to any website with a lot of specialized vocabulary. It’s amazing and refreshingly simple to just hover to get the definition.We upgraded to the Pro version to gain the synonym and plural functionality. Support from the developer, David, has been excellent. Plugin is working as stated, a good choice if you need a glossary. Very good support. We’re developing our new site and the plugin works great. 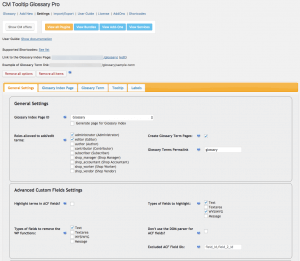 Tooltip, import glossary, related articles… work as described. The one thing I want to note is that the developers went the extra mile to fix some issues that we came across. Plugin author is both friendly and responsive. I rarely write reviews, but this plugin really deserves it. It is among the best if not the best Glossary Plugin around. It has a tremendous amount of features and options. And the support is great. I had a few bugs in the first version I downloaded and they were all taken care of in a matter of hours.Keep up the great work !!!! Thanks for the great plugin. Works extremely well now. I did have a bug with an earlier version the author fixed the problem in a matter of hours. 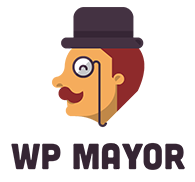 WP Mayor: "CM Tooltip Reviews by WP mayor - The CM Tooltip Glossary Pro+ plugin is an ideal solution for anyone who writes or publishes content in a topic that has lots of subject-specific terms, acronyms, abbreviations, and jargon. Instead of providing an explanation each time an acronym or technical term is used, this plugin makes it very easy to create your own glossary pages of terms on a WordPress site." WP Explorer: "CM Tooltip Reviews by WP Explorer - The Pro+ version, in particular, is full-featured enough to satisfy every conceivable glossary-related need while being simple enough to appeal to WordPress users that like to stick to the essentials." Wisdom Labs: "CM Tooltip Reviews by Wisdom Labs - The CM Tooltip Glossary plugin is a very efficient plugin and will provide valuable service to your site visitors. You can embed a glossary very easily into your website with a simple and streamlined design." Premium WP: "CM Tooltip Reviews by Premium WP - CM Tooltip plugin makes it very easy to create a glossary of terms section as well as functionality for a tooltip definition of terms in your posts or pages to help visitors when they’re reading your content."